Welcome to the St. Andrews Society of Northwest Michigan. Formed in 1997, the Society’s purpose is to foster fellowship among people interested in Scottish history, customs, music and arts through participation in organized activities. 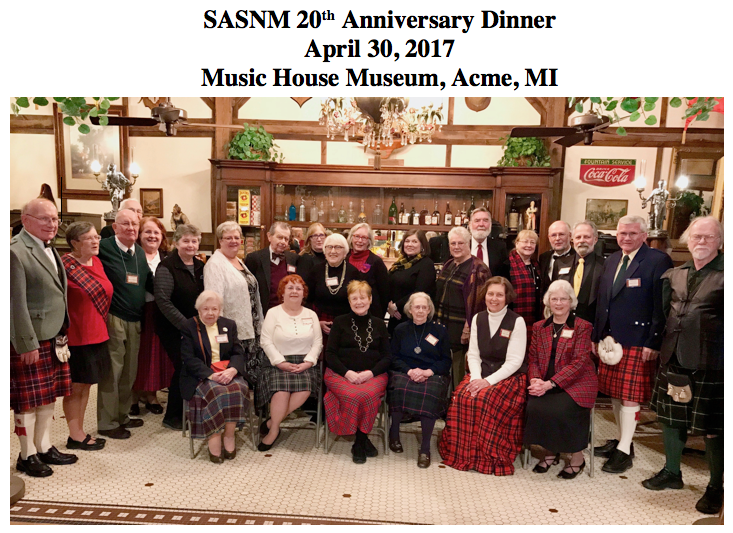 The Society meets several times a year including a spring potluck,a picnic with Family Highland Games, and St. Andrews Dinner in November. In addition, the Society hosts a Robert Burns Night in January. Gatherings may include a dinner in a restaurant or pot luck at a community center followed by Scottish entertainment, and brief talks on Scottish culture, history or apparel. You will learn about our club and the many ways we celebrate our heritage. We are based in Traverse City, but have members and friends all over the state.